Colorado Domestic Violence Lawyer On Domestic Violence And Mental Health Issues - Denver Criminal Attorney Specializing in Domestic Violence Cases - Colorado Criminal Defense Lawyer. Colorado Domestic Violence Lawyer On Domestic Violence And Mental Health Issues – In every domestic violence case that ends in a disposition – a plea agreement – Colorado law requires a domestic violence evaluation and treatment. The need to understand the intersection of domestic violence issues and mental health issues BEFORE there is a resolution is critical. That is the job of the Colorado Domestic Violence Criminal Defense Lawyer. This article examines some of the fundamentals of mental issues and how they may impact domestic violence cases. The ignorance surrounding the interaction of mental health issues and the criminal justice system – that is how these mental issues impact – for example – domestic violence cases – is clear to those practicing criminal law in this area. While Judge’s are tasked with the responsibility of sentencing those convicted in Domestic Violence cases, everyone in the system – including judges -very often fail to understand the impact of mental health issues on the individuals they must sentence for acts of domestic violence. The system is simply not set up to spend enough time on each case..it is a “justice mill” handing out a blunt product that ignores the deeper problems underlying the resulting act of violence. There is a major difference between common mental health issues used by experienced criminal defense lawyers to explain and “mitigate” acts of domestic violence and major mental health defenses such as the defense of insanity and impaired mental condition. This article addresses only the use of mental health “mitigating circumstances” that are there in almost each case. It does not address the individual who not aware that what he or she has done is right and wrong. . Determining the impact of mental health disorders in domestic violence cases – simply put – should be the subject of professional input. 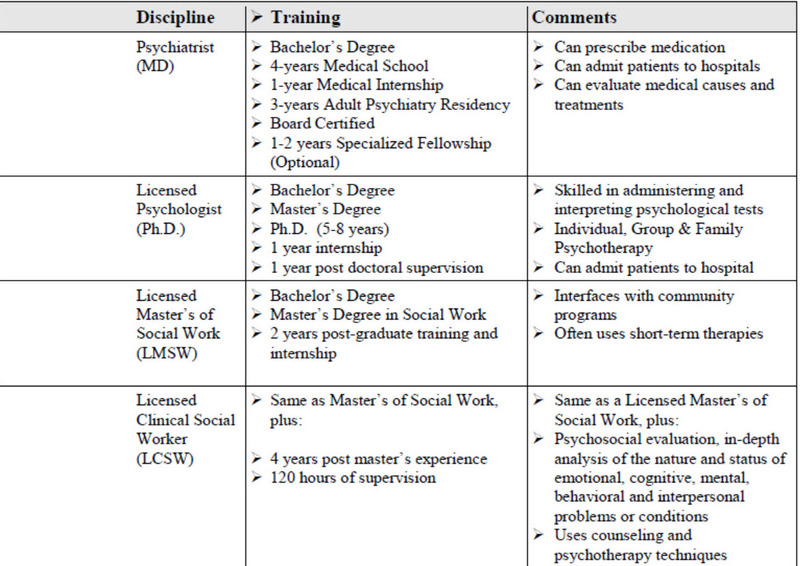 The diagnosis of a psychological disorder is usually the result of the professional review of such criminal case data as social service reports, police reports, mental health records, and medical records as well as personal observations based upon evaluations performed by these professionals. 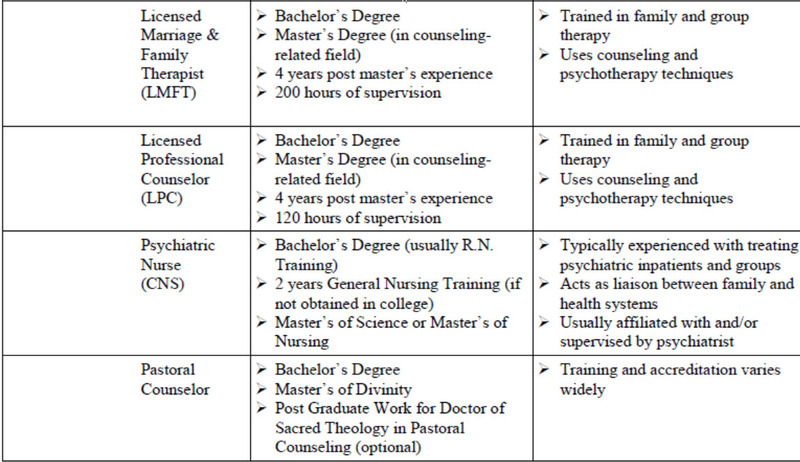 Who Are the Mental Health Professionals? I A Listing.. While alcohol and other drugs clearly are not the direct cause of domestic violence, the reduction of inhibitions as a result of mental health diseases along with the role of controlled and uncontrolled substances cause perpetrators to engage in high risk and dangerous behaviors. The Bureau of Justice Statistics has reported that 479,900 inmates of local jails had a mental health problem – 64% of all jail inmates. The answer to this problem in Miami-Dade Florida – in the context of mental health and domestic violence cases – was the birth of the Domestic Violence Court. Problem solving courts such as drug courts are not a new idea. What is new is a hybrid combination of a mental health court and a domestic violence court – bringing together two special courtroom populations having “overlapping problems.” The Miami-Dade Domestic Violence Court – addresses domestic violence defendants suffering from serious mental illnesses. The same goals of a mental health court are applied in this new context – to prevent criminalization and recidivism (repeated offenses) by diverting mentally ill individuals out of the criminal justice system and into mental health treatment programs that are controlled by stakeholders in the criminal justice system who recognize the need for compassion and understanding in this area. These professionals see the impact of improve “psychiatric stability” for the offender which in turn helps to improve the goal of every criminal justice system – public safety. The mental health court idea is known more widely as a “therapeutic jurisprudence application” of the law – where the judge works to assist those with serious mental illness who commit domestic violence offenses and are in need of mental health as well as other types of domestic violence – anger management types of treatment. “Applying the approaches of drug treatment court, mental health court, and domestic violence court, the judge attempts to motivate the individual to obtain treatment, facilitate its delivery, monitor compliance, and bolster the individual’s self-esteem and self-efficacy, building on existing strengths. The judge functions as a member of the treatment team, and applies a therapeutic rather than a punitive approach. In this regard, the judge performs a public health function. In playing this role, the judge uses approaches and applies principles of psychology. The judge displays empathy, listens to the individual, treats the individual with dignity and respect, and uses a form of behavioral contracting. The domestic violence mental health court involves a team approach in which court personnel and treatment providers assist the judge in the process of screening offenders to determine their appropriateness for the court. This typically includes whether the offenders have mental illness, whether they need treatment, and whether they would present a risk of violence if released to the community. Identifying mental disorders means understanding them – recognizing their components and then analyzing how they impact the individual charged with having committed an act of domestic violence. Bipolar disorder (manic depressive illness). Depression can change a person’s behavior, their physical health, their appearance, and the ability to handle decisions and tasks. It is often linked to alcohol and drug abuse, feelings of worthlessness and hopelessness and feelings of sadness and/or irritability. This illness is characterized by severe mood swings from periods of extreme depression to periods of exaggerated happiness. These swings from overly high and irritable (mania), to sad and hopeless (depression) and with periods of normal moods characterizes this illness. The symptoms of anxiety and panic disorders can last from several seconds to several minutes. 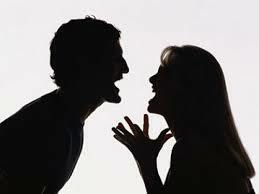 These attacks can be unpredictable and sometimes devastating to relationships. Hallucinations – commonly auditory (hearing voices or sounds) or somatic (e.g. feeling like body is disintegrating). Delusions – false ideas that the schizophrenic believes to be true. The delusions can be either paranoid or grandiose. Disorganized thinking – difficulty keeping things straight in the individuals mind, often hindering relationships with other people. Altered senses – enhanced feelings in the early states or blunted sensations in later stages. Thoughts or sensory stimuli may flood the individuals mind. Altered sense of self – confusion about where the individuals body begins or ends. This stems from the persons difficulty making sense of the outside world. Changes in emotions – fluctuating or exaggerated emotions are most common in the early states. Emotions are often inappropriate, such as laughing at something tragic. Changes in behavior – withdrawal, ritualistic behavior, repetitious movements, such as tics, tremors or tongue movements. Also, catatonic behavior; an individual might hold a position for hours, unable to talk or eat. Loss of memory is usually the first and most prominent symptom of dementia. It can be mild – with only a moderate memory loss of recent events to severe cases. It has been my experience that substance abuse issues is involved in almost every Colorado domestic violence case. Substance abuse – the regular, habitual use of any substance to the degree that it causes self-detrimental behaviors can include substances such as psychoactive drugs, and alcohol. Alcoholism – which exists in the accused in many Colorado domestic violence cases – is the chronic and progressive addiction to or dependence on alcohol. Other commonly abused drugs include: heroin, cocaine, sedative hypnotics, tranquilizers, marijuana, phencyclidine (PCP), hallucinogens, inhalants, and designer drugs. The future of all Colorado criminal cases is to understand the alleged perpetrator – to not just punish that person – but to help that person not commit another crime. This approach is the single best way to protect the community. If you are charged with A Colorado crime or you have questions about the topic of this article –Colorado Domestic Violence Lawyer On Domestic Violence And Mental Health Issues, please call our office. The Law Offices of H. Michael Steinberg, in Denver, Colorado, provide criminal defense clients with effective, efficient, intelligent and strong legal advocacy. We can educate you and help you navigate the stressful and complex legal process related to your criminal defense issue. and all the other cities and counties of Colorado along the I-25 Corridor… on cases involving the subject of this article -Colorado Domestic Violence Lawyer On Domestic Violence And Mental Health Issues. In every domestic violence case that ends in a disposition - a plea agreement - Colorado law requires a domestic violence evaluation and treatment. The need to understand the intersection of domestic violence issues and mental health issues BEFORE there is a resolution is critical. .